Nearly as long as there have been coffee shops and carwashes, all manner of businesses have handed out buy-10-get-one-free punch cards and hoped to reap the rewards of this simplest of loyalty marketing campaigns. But a new day is dawning. Smartphones and loyalty apps have begun offering small businesses enhanced program features and automated administration capabilities once affordable only to large companies like airlines and hotel chains. These capabilities also offer the equivalent of a real-world psychology lab for easily evaluating the effects of offerings and incentives on customer loyalty. Studies have also shown the psychological benefit of preloading a frequent buyer card with a couple of punches to make the dangled reward appear closer. A carwash that started one set of customers with a buy-eight-get-one-free card and a second set of customers with a 10-wash card already punched twice, found a few months later that nearly twice as many people (34 percent) given the illusion of a head start toward the same goal had redeemed the card as people (19 percent) who had to earn their first punch. Two researchers, Joseph Nunes and Xavier Drèze, have called this the endowed progress effect. “If that’s the only thing you do, the punch card becomes more of a price promotion than a loyalty program,” Mr. Bolden said. In essence, the punch card is primitive compared with dynamic, app-powered loyalty programs. And effective. Psychologists have a name for this kind of reward — random intermittent reinforcement — and know it as a powerful way to encourage repeat behavior. Think no further than slot machines. Casinos have zeroed in on the gambling habits of their patrons through the use of smart cards rather than coins. Retailers can also now better know their customers through loyalty apps, which may also use data from Facebook profiles. 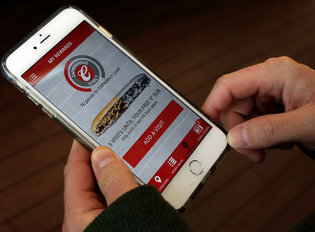 Mobile loyalty apps, Mr. Gupta explained, can also enable small businesses to run scratch-off sweepstakes programs or more involved games, along the lines of McDonald’s Monopoly stickers contests, long the province of Fortune 500 companies. Smartphone screens can also host engaging games — say, catching falling fruit or objects related to the business — and award a free menu item for reaching certain achievement levels. When children win, he said, the entire family may come in to redeem the reward. “Clearly, this is the best of times for loyalty programs,” said Mr. Bolden of the Boston Consulting Group, who recommended that small businesses “focus on the non-earn-and-burn aspects of the program.” He suggested that spas consider a separate waiting room for their app-identified best customers. “Or when the treatment is over, you hand the customer a glass of Champagne and strawberries,” he added. “If you’re an apparel retailer and you get in a new line from a new designer, invite the top 5 percent of your customers in first so they can see it before anyone else.” The point is that many effective rewards need not cost much to bestow. Moreover, smartphones that can pinpoint a user’s location may provide additional marketing opportunities to people who’ve downloaded loyalty apps. A mobile technology developed by Apple, iBeacon, allows businesses to know if a regular customer is near their storefront and ping them — or even greet them by name as they cross the threshold. Part of the answer, he said, is mobile apps, but the challenge is figuring out timing and frequency of messages, and not to overdo it. “If you bombard them — say, when they’re on the way to their kid’s school — with a pop-up that says, ‘I notice you’re within a half mile of a Dave & Buster’s, come on in,’ that’s going to be aggravating,” he said. Better to ping New York Giants fans on Sunday, offering half-price beers to those wearing Giants blue. SANTA CLARA, CA--(Marketwired - Feb 5, 2015) - Glassbeam, Inc., the machine data analytics company, today announced it has joined the PTC ThingWorx partner ecosystem as a ThingWorx Ready™ partner. As a ThingWorx Ready partner, Glassbeam will be integrated seamlessly with ThingWorx to deliver a comprehensive, advanced analytics platform, which will be available in the ThingWorx Marketplace. ThingWorx, the leading rapid application development platform for the Internet of Things (IoT), is the first platform designed to build and run the applications of the connected world. ThingWorx reduces the time, cost and risk required to build innovative applications for smart, connected products. With Glassbeam as a partner, ThingWorx customers will be able access a proven IoT analytics platform with advanced machine learning and real-time analytics right out of the box. ThingWorx Ready certification means that Glassbeam will be capable of directly ingesting and analyzing data collected and stored inside the ThingWorx platform. Customers will benefit from an integrated, complementary and cloud-based analytics platform designed specifically for complex, multi-structured machine data and IoT. Glassbeam's patent-pending, cloud-based technology enables customers to reduce costs, increase revenues, accelerate product time to market, and improve customer satisfaction and retention. Glassbeam customers and partners include Fortune 500 companies and enterprises across a variety of markets including storage, wireless, networking and medical devices. "We continue to expand our relationships to strengthen Glassbeam's position and reach in IoT. We're seeing a customer shift toward wanting to view rich analytics data in conjunction with adjacent applications. Now with ThingWorx, we deliver new analytics capabilities, better intelligence and a more holistic solution for IoT. The certification is recognition of the market need, not only for analyzing data collected inside ThingWorx, but also for a truly comprehensive IoT analytics platform." - Puneet Pandit, CEO and co-founder, Glassbeam, Inc.
About Glassbeam Glassbeam is the machine data analytics company. Bringing structure and meaning to data from any connected device, Glassbeam provides actionable intelligence around the Internet of Things. Glassbeam's next generation cloud-based analytics platform is designed to organize and analyze multi-structured data, delivering powerful product and customer intelligence for companies including IBM, HDS, Aruba Networks and Meru Networks. For more information, visit www.glassbeam.com. ThingWorx Ready™ Partner Program ThingWorx™ Partners provide a wide variety of products throughout the entire IoT value chain -- from software systems and cloud platforms to smart sensors, devices, gateways and machines that make the connected world a reality. The ThingWorx Ready Partner Program allows hardware and software companies to pre-integrate their product with the ThingWorx rapid application development platform, greatly simplifying the creation and deployment of IoT solutions. These companies provide a wide variety of products throughout the entire connected world value chain -- from software systems and cloud platforms to smart sensors, devices, gateways and machines. Becoming ThingWorx Ready reduces the cost and risk of Internet of Things deployments for end customers, helping accelerate the growth of the overall space. ThingWorx, ThingWorx Ready and PTC are trademarks or registered trademarks of PTC Inc. or its subsidiaries in the United States and other countries. February 16, 2015 | Maverix Biomics signed a strategic agreement with Elsevier this morning at CHI’s Molecular Medicine Tri-Conference in San Francisco. The Maverix Analytic Platform will complement Elsevier’s Pathway Studio sample-to-insight workflow and incorporate biological data from Elsevier’s biology journals by providing easy, push-button data analysis. Financial terms of the agreement were not disclosed. The integrated solution will start with raw NGS data and produce genome alignment, quality metrics, variant and expression analysis, and the ability to analyze and visualize disease mechanisms derived from published scientific data. “This collaboration gives more value to our customers—not only can they use the two great tools our companies produce, but they can now save time by seamlessly using them together. This reduces their workload, reduces complexity and increases accuracy of their analysis,” said Jaqui Hodgkinson, VP Product Development of Elsevier Life Sciences Solutions, in the announcement. Glassbeam, Inc., the machine data analytics company, today announced that its market tested solution has been selected by companies in the manufacturing and energy industries. Romi, a premier global manufacturing company, and Gridscape, a leader in the smart grid software solution space, both see the potential in examining real-time machine data information and provide valuable insights into their equipment performance. "These new customers are significantly important because they not only show the benefits of examining rich analytics, but the results can result in fundamental changes for both industries," commented Puneet Pandit, CEO and co-founder of Glassbeam. "That is a key part of our unique selling proposition. We aren't just providing robust business IoT analytics; we are looking to create fundamental changes in service, support and product enhancements across all industries." In Romi's case the analysis will increase Romi's Overall Equipment Efficiency (OEE) by increasing uptime and reducing the mean time to resolutions for any equipment problems. Brazilian based, Romi S.A. is a global leader in Machine Tools, Plastic Processing Machines and Rough or Machined Castings. Its products and services are marketed throughout Brazil and exported to five continents for industries such as automobile and automotive components manufacturing, consumer goods, agricultural machinery and implements, and industrial machinery and equipment. The company holds over 60 patents and has a further 30 patents pending in Brazil and overseas. Pandit points out that the manufacturing industry also faces a significant gap between manufacturing systems in the shop floor and the IT systems that help administer manufacturing organizations. By filtering, parsing, structuring and analyzing machine data in real time, Glassbeam has the ability to correlate machine status and conditions with product reject rates, and quantification of machine down times, providing actionable intelligence. Founded in 2012, Gridscape Solutions is a software and service company that specializes in designing and developing a broad range of smart energy solutions. The company's core competency is to leverage technological innovations and provide leadership to this emerging industry. Its goal is to provide operational efficiency and savings to its customers, in addition to creating new sources of revenue. Improving the economics of operating EV stations is a critical component to the growth of these installations. Keeping pricing as low as possible is essential. The Glassbeam platform can take in streaming data from the stations, parse and analyze that data in real-time, and provide feedback to streamline their service, lower their maintenance costs, and provide insights for improving future generations of EMV station equipment. "Our team has extensive experience in deploying highly efficient and integrated smart grid software solutions," notes Vipul Gore, CEO and President of Gridscape Solutions. "We look forward to partnering with Glassbeam in designing and deploying low-risk and low-cost software solutions that result in efficient operations. We anticipate Glassbeam's powerful analytics capabilities will make a significant contribution to our objective of creating economically attractive smart grid offerings." "The Cleantech market is exploding," adds Puneet Pandit, CEO and founder of Glassbeam. "In this case, our solution to Gridscape's challenge demonstrates that our platform is versatile enough to manage and interpret the unique data coming from EV stations. However, we can provide that same data monitoring and intelligence to every aspect of this expanding field." He added that the sales in different verticals show the growing understanding and adoption of IoT analytics. "We are intent on penetrating both these markets, but ultimately our goal is to blaze a trail across all industry segments," he concludes. ehealth is a booming market for IOT as firms pair up on analytics and devices. Glassbeam will integrate its IoT analytics application with ThingWorx's platform in the Medical Device Industry. The company said there are "several other prospects in the pipeline". The two solutions will be merged to reduce costs, increase revenues, and accelerate product time to market. The enterprise added that clinical medical device company VytronUS selected the ThingWorx and Glassbeam solutions to collect and analyse machine data information from its systems. Chris Kuntz, VP of Ecosystem Programs at ThingWorx said: "The addition of Glassbeam allows customers to analyse their data directly in the Glassbeam platform. It's a powerful and complementary offering to the ThingWorx platform." Puneet Pandit, CEO of Glassbeam added: "We believe that Glassbeam and the ThingWorx platform working in tandem as an end-to-end solution for customers to view rich analytics, based on data in their machines and from adjacent applications, is highly valuable." Danielo Piazza, Director of Engineering at VytronUS said: "Machine connectivity and analytics is an important design element at VytronUS. "Having a well-integrated end-to-end solution for meeting this goal from ThingWorx and Glassbeam will make our job much easier in the future. It will greatly enhance our ability to get timely, accurate and insightful analytics from our machines in the installed base." C3DNA, Inc. is demonstrating at Cisco Live (in the Cisco Intercloud Services booth) – their application-centric, policy-driven management platform for apps running in public, private and hybrid Clouds. A live demo shows “How Policy-Driven Management enables IT to increase efficiency and dynamically scale anywhere”, helping Cisco’s customers deliver their applications faster. Using C3DNA and Cisco Intercloud, enterprises can have a complete cloud strategy, allowing application visibility and control across private and hybrid clouds for both legacy and new apps. These apps can then be deployed securely and compliantly across hybrid clouds with application awareness, dynamic life-cycle management and real-time automation. Through policy-driven management that is independent from infrastructure or systems management C3DNA's Application driven policy platform puts the application or business owner back in control. The C3DNA platform was developed to bring Telco- grade reliability and trust to the data center. It enables IT to deliver the intent of the application anywhere via application driven policies that are dictated by business needs. “We quickly discovered the C3DNA platform could provide an abstraction layer between business objectives definition and the enforcement of policies within the Application Centric Infrastructure, as well as introduce increased resiliency providing a clear hand off between developers and operations” said Ken Owens, CTO Cisco Intercloud Services. “Our application-centric approach applies infrastructure agnostic meta- containers for monitoring and control connected by our Application Area Network, allowing our clients to deliver their applications anywhere without the cost and complexity of the multitude of orchestration and management tools. We want to give IT the visibility and control to deliver applications aligned with the needs of business and allow developers to focus on application development not its management.” said, Paul Camacho C3DNA’s CEO. SANTA CLARA, CA--(Marketwired - Jun 23, 2015) - Glassbeam, Inc., the machine data analytics company, today announced that Gridscape Solutions, a leader in the smart grids software solution space, has chosen Glassbeam for remote monitoring and maintenance of its 400+ Electric Vehicle (EV) charging stations. "Our team has extensive experience in deploying highly efficient and integrated smart grid software solutions," notes Vipul Gore, CEO and President of Gridscape Solutions. "We specialize in designing and deploying low-risk and low-cost software solutions that result in efficient operations. We anticipate Glassbeam to make a significant contribution to achieving these objectives." "The Smart Energy, Cleantech market is exploding," adds Puneet Pandit, CEO and founder of Glassbeam. "In this case, our solution to Gridscape's challenge demonstrates that our platform is versatile enough to manage and interpret the unique data coming from EV stations. However, we can provide that same data monitoring and intelligence to every aspect of this expanding field." Glassbeam customers and partners include Fortune 500 companies and enterprises across a variety of markets in addition to manufacturing, including storage, wireless, networking and medical devices. Glassbeam is the machine data analytics company. Bringing structure and meaning to data from any connected device, Glassbeam provides actionable intelligence around the Internet of Things. Glassbeam's next generation cloud-based analytics platform is designed to organize and analyze multi-structured data, delivering powerful product and customer intelligence for companies including IBM, HDS, Aruba Networks and Meru Networks. For more information, visit www.glassbeam.com. Glassbeam, Inc., announced today that it has received a 2015 IoT Evolution Asset Tracking Award from IoT Evolution magazine, the leading publication covering the Internet of Things movement. Glassbeam's solution takes real time streaming data from devices connected to the internet and translates that information into actionable insights. Beyond asset tracking and management, the company's analysis of log data files can provide preventative and predictive maintenance, and better product intelligence leading to improved product roadmaps. "Parsing and analyzing complex logs in real time and in the right way, is creating immense business and operational value for support, services, engineering, sales and product marketing groups," commented Puneet Pandit, founder and CEO of Glassbeam. "We are very pleased with this recognition of our solution's innovation and its rapid adoption in a wide variety of markets." "It is my pleasure to recognize Glassbeam with an IoT Evolution Asset Tracking Award for its excellence in innovation," said Carl Ford, CEO& Community Developer, Crossfire Media. "As a leader in this rapidly evolving industry, I look forward to seeing Glassbeam's future successes." Winners of the 2015 IoT Evolution Asset Tracking Award will be featured in the third quarter edition of IoT Evolution magazine. About Glassbeam Glassbeam is the machine data analytics company. Bringing structure and meaning to data from any connected device, Glassbeam provides actionable intelligence around the Internet of Things. Glassbeam's next generation cloud-based analytics platform is designed to organize and analyze multi-structured data, delivering powerful product and customer intelligence for companies including IBM, Aruba Networks, Violin Memory, Gridscape and Meru Networks. For more information, visit http://www.glassbeam.com. About TMC TMC is a global, integrated media company that supports clients' goals by building communities in print, online, and face to face. TMC publishes multiple magazines including Cloud Computing, IoT Evolution, Customer, and Internet Telephony. TMCnet is the leading source of news and articles for the communications and technology industries, and is read by as many as 1.5 million unique visitors monthly. TMC produces a variety of trade events, including ITEXPO, the world's leading business technology event, as well as industry events: Asterisk World; AstriCon; ChannelVision (CVx) Expo; Customer Experience (CX) Hot Trends Symposium; DevCon5 - HTML5 & Mobile App Developer Conference; IoT Evolution Conference & Expo; SmartVoice Conference; Software Telco Congress; Super Wi-Fi Summit - The Global Spectrum Sharing and TV White Space Event; SIP Trunking, Unified Communications & WebRTC Seminars; Wearable Tech Conference & Expo; Fitness and Sports Wearable Technology (FAST) Expo, WebRTC Conference& Expo; and more. Visit TMC Events for additional information. Studies show that around 40% of products fail. But what if product designers could understand what features are most and least popular, which components tend to fail sooner than others, and how customers actually use products versus how designers think they use them? And, what if product developers could then utilize these insights to develop products that perform better, potentially cost less and, most importantly, are aligned with actual customer needs? Innovative product development teams in pretty much every industry are beginning to look at ways to translate enormous streams of real time machine data into actionable information to improve the product development process by understanding where product innovation is necessary, which features are most desirable, and how to lower their overall cost of ownership. For some time now, many companies have embedded sensors in their products that are producing huge amounts of information about performance. However, this machine data has traditionally been difficult to collect and analyze, due to both the enormous amounts of data involved and the different types. Data comes in a variety of formats, such as text logs, XML, JSON, CSV or SNMP. There are different data class categories, like event messages, configuration blobs or statistical dumps. Data is likely to be in different protocols, such as email, FTP, SFTP, as a stream or as a batch log file. But advanced analytics companies have developed new solutions that are able to handle the volumes and disparate types of data involved in real time, making machine data analytics practical and affordable for a much wider range of organizations. In order to develop and market new products most effectively, you need to create a "single point of truth," or a body of data and insights that is comprehensive, accurate and timely. *Reporting capability on how customers are using existing products, performance information on components within existing products, et al. Streetline is a good example of how a company is using what some are calling IoT analytics to build out new products. The company recently launched Streetline IoT Gateway, part of the company's mission to create smart cities and smart campuses. Analyzing the data streaming into the Gateway, Streetline realized they could build a successful business by harnessing smart data and advanced analytics to help cities, universities and campuses provide guidance on available parking and parking enforcement. The Gateway allows Streetline customers to more effectively capture data from in-ground sensors and video cameras, and make more effective decisions. Better parking is the first solution to come out of the Gateway, and is not only a large revenue generator for cities, but has the potential to decrease congestion, and build a nice revenue stream for Streetline at the same time. Streetline developed its new gateway jointly with Cisco. The Gateway integrates Streetline's low-power mesh network and Cisco's Smart+Connected WiFi solution. Another example is Trane, which designs and produces HVAC equipment. The company began to insert sensors into its equipment and the data analysis enabled facility managers to think of and operate various HVAC and other devices as a single large system. For example, rather than simply turning on at the beginning of the day and off at the end, a "smart" HVAC system will now operate based on the building's occupancy. In the future, Trane plans to sell "outcomes" versus equipment; e.g., ensuring the air within a facility remains at 72 degrees. IoT analytics enables new product teams to completely rethink the solutions they develop and how they are supported. With IoT analytics, the only limit to designing winning new products is the creativity of the new product development team. At Glassbeam, Puneet and team are focused on a mission to create a new category of Big Data business app around machine data analytics. The premise is that any high technology product, network or cloud is increasingly capable of generating copious amounts of rich but unstructured machine data, that once mined can provide tremendous business and operational insights for its manufacturers and users. Formation Data Systems, a disruptive startup revolutionizing enterprise storage, today announced the appointment of Rick Walsworth, Vice President of Marketing, and Eric Chan, Vice President of Finance and Administration, to its executive ranks. Underscoring the company’s commitment to transform the antiquated and costly enterprise storage market, Formation Data Systems Chairman and Chief Executive Officer Mark Lewis, said, “Formation is continuing to build momentum in the storage market. To account for our fast client growth, we recognized the need to recruit the best talent and team players in the industry to help drive us further forward. Both Rick and Eric, coming from strong IT backgrounds at EMC, were the perfect fit for our executive team. They are both strategic thinkers focused on execution, who have a deep understanding of our vision for the market as well as our modern approach to dynamic storage." With more than two decades of experience building and transforming emerging technology brands, Walsworth brings a proven track record of in-depth marketing and communications expertise to Formation. In his role as Vice President of Marketing, Walsworth will be responsible for driving brand and corporate strategy across all marketing and communications initiatives to drive awareness and revenue growth for the company as it continues to execute on its mission to transform data storage. Prior to joining Formation, Walsworth was director of product marketing for EMC’s Emerging Technologies Division where he drove product and go-to-market strategy as part of the company’s acquisition of Kashya, a privately held provider of enterprise-class data replication and data protection software. Prior to Kashya being acquired, he served as vice president of marketing, driving awareness and revenue growth for the company in the competitive storage market, following successful marketing leadership roles at Maranti Networks and SAN Valley Systems. In the position of Vice President of Finance and Administration, Chan brings close to two decades of experience as a finance leader to Formation. Chan will be responsible for all financial operations and planning, also serving HR functions. Before joining Formation, Chan served as the head of finance at Syncplicity, a business unit at EMC. During his tenure, Eric built the business unit's finance and accounting functions required to fulfill quarterly compliance requirements and achieving operating numbers targets while balancing the longer-term vision for future investments. Before leading the Syncplicity finance and accounting team, Chan held various operating and financial management leadership roles at companies such as SuccessFactors and VMWare, another EMC company. NEW YORK, July 23, 2015 /PRNewswire/ -- W. P. Carey Inc., a global net lease real estate investment trust (REIT), announced that during the first half of 2015, CPA®:18 – Global, one of its publicly held non-traded REIT affiliates, completed 15 separate self-storage transactions with an aggregate investment value of approximately $161 million, including acquisition costs. Individual transactions ranged from under $3 million to over $38 million. Liz Raun Schlesinger, W. P. Carey Managing Director and Head of Self-Storage, commented: "With the completion of these 15 transactions, we succeeded in acquiring 22 well-positioned operating facilities. Our experience in the sector, coupled with our management expertise and ability to assess new markets, allowed us to secure our first development opportunity and enter an attractive, growing and underserved Canadian market with an established local joint venture partner. Sourcing and executing on multiple transactions ranging from single properties to portfolios to solid development opportunities, our team continues to recognize attractive opportunities." Ms. Raun Schlesinger added: "In the self-storage sector, it is critical to not only buy right, but also to manage right. Our appreciation of the management component for self-storage investments has been a critical factor in our ongoing success with our existing assets. We are pleased to add strong, long-term income generating self-storage assets that support CPA®:18 – Global's strategic investment and diversification objectives." Strong property management: Eighteen of the acquired operating properties will be managed by Extra Space Storage and four will be managed by CubeSmart. The to-be-developed facility in Vaughan, Ontario will be managed by Budget Development Group. To-be-developed facility in Vaughan, Ontario: The development site, located in an affluent northern suburb of Toronto, will be developed in joint venture with local partner, Budget Development Group, an established developer and manager of self-storage facilities in Canada. Upon completion, which is expected to occur in August 2016, the facility will include 108,275 net rentable square feet, comprising 1,137 units. W. P. Carey Inc. Please visit www.wpcarey.mediaroom.com for more information about W. P. Carey, to access our image and video libraries and to follow us on social media. This press release contains forward-looking statements within the meaning of the Federal securities laws. The statements of Ms. Raun Schlesinger are examples of forward looking statements. A number of factors could cause CPA®:18 – Global's actual results, performance or achievement to differ materially from those anticipated. Among those risks, trends and uncertainties are the general economic climate; the supply of and demand for office and industrial properties; interest rate levels; the availability of financing; and other risks associated with the acquisition and ownership of properties, including risks that the tenants will not pay rent, or that costs may be greater than anticipated. For further information on factors that could impact CPA®:18 – Global, reference is made to its filings with the Securities and Exchange Commission. SANTA CLARA, CA--(Marketwired - Jul 24, 2015) - Glassbeam, Inc., the machine data analytics company, and Gridscape Solutions, Inc., which designs and develops a broad range of smart energy solutions, will discuss strategies for improving the efficiencies of electric vehicle (EV) charging stations during a free webinar to be held Thursday, July 30, at 11:00 a.m. PDT. Titled, "Using Machine Data to Improve the Economics of EV Charging Stations," Vipul Gore, CEO of Gridscape and Carlos Quezada, Senior Director of Customer Solutions at Glassbeam, will highlight how mining machine data sent from EV charging stations can tremendously help in performing both regular, as well as predictive, maintenance. The data is also helpful to better understand the installed base and gleaning other valuable business insights. These business insights enhance the effort to reducing support costs and also for identifying new revenue streams. Last month, Gridscape selected Glassbeam for remote monitoring and maintenance of its 400+ Electric Vehicle (EV) charging stations. SANTA CLARA, CA -- (Marketwired) -- 08/11/15 -- Glassbeam, Inc., has been named the bronze winner in Most Innovative Company of the Year (Small) in Best in Biz Awards 2015 International, the only independent global business awards program judged by members of the press and industry analysts. Glassbeam's solution takes real time streaming data from assets connected to the internet and translates that information into actionable information. Beyond asset tracking and management, the company's analysis of log data files can provide preventative and predictive maintenance, and better product intelligence leading to improved product roadmaps. "We are extremely pleased to be one of the winners of this year's award," commented Puneet Pandit, Glassbeam's CEO. "It is particularly gratifying to know that we are receiving this recognition from editors and analysts out of so many competitors." More than 250 public and private companies representing all sectors of the global economy from more than 30 countries competed in Best in Biz Awards' third annual International program. Best in Biz Awards 2015 International honors were presented in a range of categories, including Fastest-Growing Company of the Year, Most Innovative Company of the Year, Support Department of the Year, Enterprise Product of the Year, Best New Version of the Year and Best New Product of the Year. Best in Biz Awards' uniqueness stems, in part, from the composition of its judging panel. Only writers, journalists, and contributors to business, consumer, financial, trade and technology publications, as well as broadcast outlets and analyst firms, are invited to serve as judges each year. Structured this way, Best in Biz Awards is able to leverage the experience and expertise of an influential group of global opinion makers to determine award winners. "Service reaches a new level as was evident when judging the 'Small or Medium Business Service of the Year' category in this year's Best in Biz Awards International. The sheer variety of solutions being offered augurs well for the years ahead, holding the promise of technology making life qualitatively superior going forward. The service and solutions industry is always a competitive area, even more so when in the small and medium business market, and it is constant innovation that will give companies that distinctive edge," said Manjula Ramakrishnan, editor of IAA Magazine (United Arab Emirates), judging her sixth Best in Biz Awards program. "Each entry and each organization being better than the other, made the task of judging this year's Best in Biz Awards International challenging, while also proving to be a huge learning experience, demonstrating what is on offer 'out there'." Winners of Best in Biz Awards 2015 International were determined based on scoring from a panel of 26 judges drawn from top-tier news, business, finance, and technology publications and media outlets from 19 countries, with all continents represented. This year's judging panel included writers and contributors to such publications as ARD (Germany), Asian Power (Singapore), BBC Radio (United Kingdom), Bennett Business Connections (Canada), Business Breakfast (United Arab Emirates), Choice (Australia), Computer Hoy (Spain), CTV (Canada), Gamers Intuition (United States), IAA Magazine (United Arab Emirates), InBusiness (Cyprus and Greece), Irish Independent (Ireland), J Arnold & Associates (Canada), Jerusalem Post (Israel), Kaiser the Sage (Philippines), MediaPost (United States), Radio Ngati Porou (New Zealand), TechHim (India), The Engaging Brand (United Kingdom), Vancouver Sun (Canada), Ventures Africa and Enterprise54.com (Nigeria), Vyapar (India), Wirausaha & Keuangan (Indonesia), WirelessDuniya (India) and Xbox Plus (Brazil). For a full list of gold, silver and bronze winners in Best in Biz Awards 2015 International, visit: http://intl.bestinbizawards.com/intl-2015-winners. About Glassbeam Glassbeam is the machine data analytics company. Bringing structure and meaning to data from any connected device, Glassbeam provides actionable intelligence around the Internet of Things. Glassbeam's next generation cloud-based analytics platform is designed to organize and analyze multi-structured data, delivering powerful product and customer intelligence for companies including IBM, HDS, Aruba Networks, Violin Memory and Meru Networks. For more information, visit http://www.glassbeam.com. About Best in Biz Awards Now in its fifth year, Best in Biz Awards recognizes top companies, teams, executives and products for their business success as judged by established members of the press and industry analysts. Best in Biz Awards honors are currently conferred in two separate programs: North America and International. Entries for Best in Biz Awards 2015 are currently being accepted from all companies based or operating in North America until the final deadline on September 18, 2015. For more information, visit: http://www.bestinbizawards.com. Published August 11, 2015 Copyright © 2015 SYS-CON Media, Inc. — All Rights Reserved. Syndicated stories and blog feeds, all rights reserved by the author. Analyst: Jason Stamper 13 Aug, 2015 ~ The company claims that its forthcoming Glassbeam Studio tool will make it dramatically simpler and faster for developers and OEMs to build applications that analyze machine data in the era of the Internet of Things. SANTA CLARA, CA, Aug 31, 2015 (Marketwired via COMTEX) -- Glassbeam, Inc., the machine data analytics company, announced today that it has successfully entered the high growth Converged and Hyper Converged infrastructure market with two new clients. The platform is being used by these companies for providing better customer experience through proactive and predictive support capabilities, and also for gleaning valuable product intelligence from machine log data. These companies along with Glassbeam's value proposition is further referenced in a recently released Solution Profile by leading analyst firm Taneja Group on the Converged and Hyper Converged infrastructure markets. As the Internet of Things marketplace continues to mature, ubiquitous embedded computing and mobile and organically distributed nodes are all being tied together by complex networks delivering heterogeneous data. In the report, Taneja is envisioning the development of building blocks, or appliances, that combine this data. They will be at the heart of new architectures and facilitate the deployment of new ways for companies to profit from superior customer insight and support, and help build trusted advisor relationships that will benefit both clients and vendors. But this can't happen without the ability to analyze and interpret the machine log data within them effectively. "The Converged and Hyper Converged markets are highly dependent on the ability to provide real time actionable data analysis," stressed Mike Matchett from the Taneja Group. "Don't try this at home, as they say. Implementing the right analytics solution is a daunting task and can take companies away from their core competencies. Building your own solution isn't necessary when solutions like Glassbeam are already available on the market." "The adoption of IoT by Converged and Hyper Converged infrastructure providers definitely plays to our strengths," comments Puneet Pandit, CEO of Glassbeam. "Our key differentiator is the ability to analyze complex data instantly and provide actionable information. This complexity of data is amplified dramatically in the Converged infrastructure space and we're extremely pleased that our solution is already being put to use by leading customers." The Taneja Group report looks at Glassbeam's unique B2B SaaS SCALAR platform and points out how it can provide differentiation among competing solutions, build a trusted client relationship, better manage and support clients, and provide additional direct revenue opportunities. It adds that product vendors are using Glassbeam analysis to see how their customers are using their solutions in production. This means what kinds of failures they experience and the common operating modes they are running. They use that intelligence to continually build increasingly resilient solutions to become more and more competitive. About Glassbeam Glassbeam is the machine data analytics company. Bringing structure and meaning to data from any connected device, Glassbeam provides actionable intelligence around the Internet of Things. Glassbeam's next generation cloud-based analytics platform is designed to organize and analyze multi-structured data, delivering powerful product and customer intelligence for companies including IBM, Aruba Networks, Violin Memory and Meru Networks. For more information, visit www.glassbeam.com. MOUNTAIN VIEW, Calif., Sep 08, 2015 (BUSINESS WIRE) -- Punchh, (www.punchh.com), the premier provider of mobile loyalty and CRM technologies for the restaurant industry, today announced an agreement with NCR Corporation, the global leader in consumer transaction technologies. Under the terms of the agreement, the companies have integrated the Punchh platform with the NCR Aloha POS, with opportunities to extend the integration to other NCR Hospitality POS solutions in the future. The Punchh Platform provides restaurants with the ability to engage guests outside the walls of their restaurant in a fun and meaningful way. Using gamification, social media, and the ability to deliver creative loyalty programs, Punchh not only engages consumers, but also provides intuitive and powerful analytics to ensure programs are delivering or exceeding the expected returns. Using the power of social networking, the Punchh-powered apps encourage customers to refer their friends to the brand and can reward them for that loyalty. This powerful referral tracking tool helps restaurants better understand the full network value of the brands’ biggest advocates. The integrated Punchh solution with the Aloha POS is currently deployed across a number of different restaurant brands. For more information about Punchh and its leading mobile loyalty and insights platform, visit www.punchh.com. Punchh, the restaurant industry's leading mobile loyalty and actionable insights platform, delivers the industry's most comprehensive mobile engagement suite built atop of its enterprise-class CRM marketing software. Based in the heart of Silicon Valley, Punchh helps brands drive consumer engagement through private-label mobile apps which deliver loyalty, gift cards, gaming/sweepstakes, surveys, social referrals and reviews. The Punchh Platform also tightly integrates with 3rd party systems including POS and Digital Ordering. The Punchh turn-key solution helps operators get to know their guests with actionable insights by housing various data sets within a single platform, and enabling them to communicate on a 1:1 basis in real time. 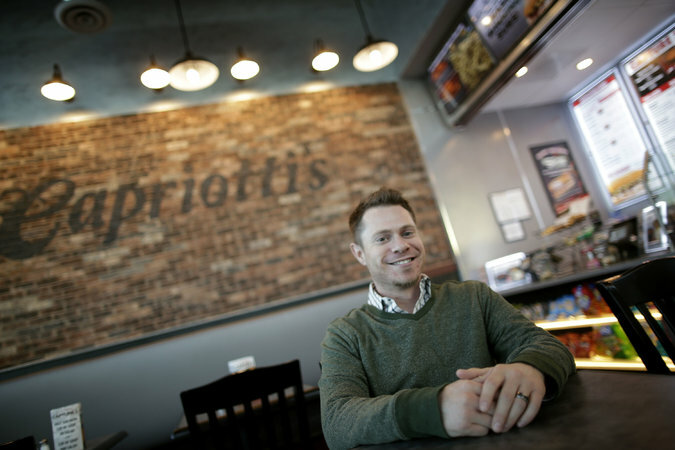 Representative clients include Arby's, FOCUS Brands, (Schlotzsky's, Moe's Southwest Grill,) Rita's Italian Ice, CiCi's Pizza, TGIF, Texas DQ, Capriotti's, and Cafe Rio. For more information, please visit www.punchh.com. NCR Corporation NCR, -0.76% is the global leader in consumer transaction technologies, turning everyday interactions with businesses into exceptional experiences. With its software, hardware, and portfolio of services, NCR enables more than 550 million transactions daily across retail, financial, travel, hospitality, telecom and technology, and small business. NCR solutions run the everyday transactions that make your life easier.NCR is headquartered in Duluth, Georgia with over 30,000 employees and does business in 180 countries. NCR is a trademark of NCR Corporation in the United States and other countries. The company encourages investors to visit its web site at www.ncr.com which is updated regularly with financial and other important information about NCR. Singapore-based early stage investor Jungle Ventures, has clocked 65 million in commitments, for its $100 million second investment fund, its founders and managing partners, Anurag Srivastava and Amit Anand, said in an interaction. The duo also said that Jungle Ventures II, LP fund has hit its first close, a development that DEALSTREETASIA has reported exclusively earlier this month. Again, as reported by this portal earlier, the investors in Jungle’s second fund include Singapore state fund Temasek Holdings, the city-state’s Thakral business family, as well as the private sector lending arm of the World Bank – International Finance Corporation. “The 65% or $65 million that we’ve raised so far of our $100 million target includes a good base of family offices, institutional investors, and a significant participation from advisors. From an institutional perspective, Temasesk is one of the new investors in this fund. Singapore’s National Research Foundation, which is associated with the Prime Minister’s Office here has come on board. We have a Malaysia based public listed technology company, which we cannot name,” explained Amit Anand. The Jungle Founders also explained that while the first fund did both seed and Series A investments, the second fund would largely target larger cheque sizes and focus on Series A. The tciket sizes are expected to be in the $3 million to $5 million range. “This fund will be heavily focused on Series A and early Bs. That is the right fit for us as we look at companies that are scaling globally,” Amit said. DEALSTREETASIA recently reported that Jungle Ventures was also launching a separate $20-million Seedplus Singapore fund, citing its filings with the US Securities and Exchange Commission. Asked on this, Amit refused to divulge details, but said the firm ‘was working on something related to the seed stage with other partners in the ecosystem’. “We think that seed investing requires a systematic change in the ecosystem and we are working on that,” he added. Edited Excerpts from the interaction. How do you select the companies that you invest in? Which countries does Jungle focus on? Do you look at specific sectors? Amit Anand: If you look at any of our portfolio companies, they fit into two buckets. Either, they have the potential of becoming a regional category leader – these are companies such as payments startups Momoe, Malaysia-based bus ticket-booking service CatchThatBus, Zipdial (that was acquired by Twitter), iMoney – they have the potential of dominating the entire South East Asian market. Or they have the potential to be a global category leader – these are companies like Tradegeckho, interior design company Livspace. Our first criteria for investing in a company is whether they have the potential of being a global or regional leader. If you look at where our deployments are going, South East Asia and India are two hot pockets where most of our capital is going almost evenly. From our first fund, we’ve got 8-9 investments in India, and similar number in Singapore and again 8-9 investments in South East Asia. Selectively, we are also investing in US-based companies, where we think that this company is something where 100% of their market is in Asia. What are your learnings from your first fund? How do you apply these to your second fund? Amit Anand: One of the things, we’ve realized from the first fund is that, we underestimated the value that some of the advisors and operating partners are creating for the firm. We did some lip service on that model in the first fund. In some of the startups, where we used our advisors more extensively, there was disproportionate value that was created. I remember a comment Zipdial’s zipdial Valerie Wagoner, when she was asked on the value that Jungle created for them, and obviously she said that we were great long time partners and all that. But she spent significantly more time talking about our advisors and the operating partners, and what they brought to the table. We have now understood and learnt that can be a phenomenal differentiator and more importantly value creators for our portfolio companies. So, in Fund-II, we are putting significant effort to adding more deep operating experience in Asia and that will help our portfolio companies, and also bring about vertical advisors. This was something that every fund did, and we did that too – but it was only when we looked at the outcome, we went and said, ‘did we do it right, or not’. We are now spending a lot more time with every company, thinking who can we can bring on board to help that company. The other key learning, and you will see that play out in the platform strategy we have, is the fact that the kind of investor that you need to be for a seed company, and for a Series A company is very different. You need to be able to look under the hood for both companies, but the kind of things you need to look under the hood for both companies are significantly different, and the kind of hiring and mentoring you need to do for them are significantly different. A lot of people underestimate that. I have seen large VC firms literally throwing cheques at seed stage companies – I am not a fan of that, and I think it requires a whole different approach, and we’ve realized that with our failures in the first fund. Some of our companies from the first fund did not do too well, as we feel that we are to blame for that. The positive learnings from the first fund are also equally strong. We are one of the few funds in the region that have seen successful exits – we’ve had three exits in three years to large global multinational companies. Twitter’s first acquisition in this region was Zipdial, a portfolio company of ours. Travelmob was bought by US-based vacation rental site HomeAway and Japan’s Rakuten first buyout was travel site Voyagin which we had invested in. When we were raising the fund, there was always this dilemma about long-term value creation versus liquidity – a lot of institutional investors look for long term value creation, whereas family offices and individuals look for liquidity, because they compare startups to real estate, bonds and mutual funds. The strategy of allocating certain percentage of our fund to companies or sectors where we will see early exits have paid off for us. I think the fact that majority of our investors in the first fund have come to the second fund, and have upped their investments is a signal to that. That we’ve been able to demonstrate our place with liquidity and also get our place in having some home runs. Anurag Srivastava: Some of the learnings are that there were couple of businesses where there is no clear model as to when it would make money. That is a lot better developed in the US, where you build a Whatsapp, and for a very long period of time, you don’t have a revenue model. I am not sure if we are not as mature for such businesses here. We did invest in a video company where the business model was not clear. Businesses where there is a clear sight and involved problem solving, even if they have struggled, we have been able to leverage the power of our operating partners, and made sure that these companies all had money. We did a review of our portfolio, and it is surprising – a very large percentage of our portfolio is very active – more or less, everyone is raising money right now, and are getting funded. We’ve made some mistakes and we’ve clearly started realizing that the kind of people we felt would probably fail, those were the companies that have not done well. It was not about them being first time entrepreneurs – so many of our portfolio companies are first time entrepreneurs. It was not about product background versus pedigree. This is an area we are also trying to learn to see how we can do more, be different. A lot of our companies have pivoted – at least, soft pivoted. Look at Pockkt, Livspace. Livspace is full home design – it is not a problem that has been solved anywhere in the world. It is a new concept. It has not been solved before and they are learning as they build the company and go deeper. It is also a lot of learning for us to get the entrepreneurs who will learn as they go deeper into the company in the first couple of years. As much as South East Asia, Jungle is also known for its investment practice in India. What makes you so bullish about India? Amit Anand: There is so much broken in the country, and if you look at the way the country has been going so far to mend to things, it has been in the traditional ways. For example, in retail, they have been trying to scale up the mall business, the franchisee models. Given the size of the country, it takes time to scale, but the consumer does not want to wait. Because of global connectivity, the consumer wants everything today. That is where technology startups have come in – they are creating a whole new stack of businesses in every industry that is broken in India. That belief is new. I don’t think that belief existed in the first two waves of technology or internet startups in India. There are massive opportunities in the domestic markets that is untapped – be it logistics, travel, payments, retail. PubNub, the startup that has built a data network that carries messaging for apps, IoT hardware and other low-latency services, is today announcing that it has extended and closed its Series C round. The San Francisco-based company has raised $25 million, funding that it will use to sharpen its focus on Internet of Things applications and hardware as well as clean energy and social collaboration. We first reported on the round in July, when originally PubNub had raised $20 million. To date, the company has now raised just over $40 million. The round was led by Sapphire Ventures (originally SAP’s venture arm), with participation from Robert Bosch Venture Capital GmbH (RBVC) — the strategic investment arm of the consumer and business electronics giant Bosch — as well Ashton Kutcher’s Sound Ventures and Envision Ventures; as well as previous investors Relay Ventures, Scale Venture Partners and TiE Angels. In any case, the company is growing pretty rapidly. When we covered the funding in July, it was sending messages across some 200 million devices. Three months later, that number is now up to 300 million devices. PubNub currently has some 2,000 customers and partners, with 750 billion realtime transactions processed per month on average. While some of the company’s more recognizable customer names include Yahoo, McDonald’s and CBS, its new relationship with Bosch is likely to lead to PubNub’s numbers ramping up even further with a strong boost from enterprise apps around IoT. As we noted in July, two areas where PubNub may be likely to invest in the months and years ahead is to build out its infrastructure and offer messaging relays across private networks. Today the company runs an amalgamation of operations across third-party data centers, something that it may look to shift as it moves deeper into M2M enterprise apps. “Today we offer the service the global network on which people deploy applications. We don’t have anything to announce yet on hybrid solutions but it is something we are considering,” Greene told us in July. That will put PubNub also in closer competition with the likes of Realtime, Pusher and Google. •Apttus, Booker, Lattice Engines, Segment and Tubular Labs are the five hottest cloud-based marketing startups of 2015. •13 of the hottest 34 cloud-based marketing startups are from the Bay Area, followed by Los Angeles with 3, and Bangalore and New York, both with 2. •14 are in Pre Series A, 7 in A-Stage, 5 in B-Stage and 3 in C-Stage funding rounds. These and other insights are from a quick analysis completed today using Mattermark Pro, in response to reader requests for more research on marketing startups. Mattermark uses a combination of artificial intelligence and data quality analysis to provide insights into over 1 million private companies, over 470,000 with employee data, and over 100,000 funding events. In the interest of full disclosure I’m not today and have never done any consulting work of any kind with Mattermark. To find the hottest cloud-based marketing startups, an initial query requesting startups competing in the cloud computing and marketing industries was completed. Next , advanced query tools in Mattermark Pro were used to filter out all startups that had exited as indicated by their stage status in Mattermark’s data. This filtered out startups who had been acquired, completed an IPO or had exited through other means. The table below is the result of an analysis completed today with Mattermark data. You can download the table here in Microsoft Excel format. The Mattermark Growth Score shown in the table below and downloadable Excel file is a measure of how quickly a company is gaining traction at a given point in time. It incorporates the Mindshare Score (web traffic, social traction) as well as business growth metrics (e.g. employee count over time, funding). The underlying assumption is that companies who see growth across these signals are shipping product and talking to customers, and are more likely to continue to grow as a result. This score is not meant to provide guidance on which startup to invest in. Rather it’s a measure of momentum across the metrics and KPIs that Mattermark measures. Cisco announced five startups Monday to join the Cisco Entrepreneurs in Residence incubation program. The incubator supports early-stage companies exploring sectors that include the Internet of Everything, Big Data/analytics, smart cities, enterprise mobility, security and other strategic areas for Cisco. The incoming startups will collaborate with Cisco executive advisors during the six-month program to identify potential joint go-to-market technologies and solutions that will benefit industry customers and partners. "With 17 startups incubated to date and 10 more joining us this year in Silicon Valley and Europe, Cisco Entrepreneurs in Residence has a growing list of success stories,” Tom Yoritaka, managing director of Cisco Entrepreneurs in Residence, said in a press release. “Startups in our program are actively engaging with Cisco to accelerate our digitization strategies and working with us to create differentiated solutions that will provide new value for our partners and customers." Cisco announced Monday that it agreed to acquire ParStream, a startup formerly involved in the program. ●LISNR is a Cincinnati, Ohio-based startup founded in 2012 that uses SmartTones, an inaudible technology that has the ability to connect mobile applications and devices. The company has raised $4.65 million from Progress Ventures, Mercury Fund, Jump Capital and CincyTech. ( http://lisnr.com). LISNR was co-founded by Rodney Williams, Chris Ostoich, Chris Ridenour, Nikki Pfahler and Josh Glick. SAN JOSE, Calif., October 26, 2015 – Cisco® today announced five startups who have been selected to join the latest Silicon Valley cohort of Cisco Entrepreneurs in Residence (Cisco EIR), a start-up incubation program. Cisco EIR supports early-stage companies building disruptive solutions for the Internet of Everything, Big Data/Analytics, Smart Cities, Enterprise Mobility, Security and other strategic areas for Cisco. The incoming startups will collaborate with Cisco executive advisors during the six-month program to identify potential joint go-to-market technologies and solutions that will benefit industry customers and partners. Since the program’s launch in 2014, Cisco EIR has successfully incubated and collaborated with 17 startups in Silicon Valley and Vienna, Austria. In line with Cisco’s innovation strategy, Cisco believes the next billion-dollar idea can come from anywhere. The Cisco EIR program exemplifies Cisco’s commitment to drive industry transformation by collaborating and innovating with an extended ecosystem of partners, customers and entrepreneurs. Demonstrating momentum and partnership beyond the time spent in the cohort, many Cisco EIR alumni continue to develop groundbreaking innovations and solutions alongside Cisco—more than 20 engagements are underway thus far. C3DNA (http://c3dna.com) delivers self-reliance and portability of any application on any cloud infrastructure at the app layer. LISNR (http://lisnr.com) provides a new communication protocol that uses SmartTones, an inaudible technology that has the ability to connect mobile applications and devices. Simularity (http://www.simularity.com) applies real-time artificial intelligence to the Internet of Things, enabling incident prediction, preventative maintenance and anomaly detection. Tagnos (http://tagnos.com) enhances the patient experience and hospital efficiency with real-time smart location solutions powered by the Internet of Things. Zoomdata (www.zoomdata.com) develops a visual analytics solution for Big Data that empowers business users to easily consume and interact with disparate data sources in real time. The five new startups announced today join the five startups that were selected for Cisco EIR in Europe this past May at the Pioneers Festival. Startups participating in Cisco EIR benefit from financial support, potential strategic funding, opportunities to collaborate with Cisco’s product and engineering teams, and co-working space. Cisco EIR also gives startups access to Cisco’s broad ecosystem of partners including investors, industry experts, and others in the startup community. Recent EIR alumni will highlight their accomplishments in the program at a Demo Day in Mountain View on October 28, 2015. Cisco Entrepreneurs in Residence serves as a catalyst for startups innovating in technology areas that have the potential to disrupt and transform the information technology industry. Startups are selected through a rigorous multi-phase selection process that evaluates the viability of their business plans, the strength of their teams and their alignment with Cisco’s strategic focus. Five to ten companies enter the program as part of each cohort lasting six months. Companies admitted into Cisco Entrepreneurs in Residence receive financial support and potential strategic funding, access to co-working space as well as basic software tools and a potential opportunity to partner with Cisco for joint development or go-to-market opportunities. More information about Cisco Entrepreneurs in Residence and the startups in program is available at http://eir.cisco.com. SANTA CLARA, CA--(Marketwired - Oct 27, 2015) - Glassbeam, Inc., the machine data analytics company, announced today that it has entered into a technology partnership with OnProcess Technology. The partnership entails an integration between respective offerings -- with the goal of leveraging machine data analytics to introduce new efficiencies in service supply chains (SSC). "Machine data analytics can change the service supply chain dramatically and have a significant impact on cost-to-serve," comments Michael Wooden, CEO at OnProcess Technology. "The Glassbeam platform takes in a huge amount of data streaming from the field and analyzes it in real time. This is critical to helping companies lower post-sale costs across inventory, technical support, logistics and field labor." OnProcess is a pioneer in service supply chain optimization and an innovator in the use of technology and analytics to drive client SSC profitability and customer loyalty. The company's services include everything from revenue enablement, triage and service fulfillment, to reverse logistics, transportation order management and spend management. Analyzing real-time streaming data from sensors in the field, Glassbeam's platform can provide triage on failures -- remotely and automatically all along the supply chain. Analysis not only indicates what has happened in a breakdown, it can specify exactly what the problem is rather than automatically assuming that a replacement part has to be dispatched. The technology can also determine part failure before it happens -- saving significant downtime and unnecessary service costs. "This is the first use of our platform in the supply chain industry," adds Puneet Pandit, CEO of Glassbeam. "Our real-time analysis has the capability to make some fundamental changes in the way this industry operates. That's the promise of business IoT analytics and we're very pleased that our first technology partnership is with a true innovator like OnProcess in the service supply chain industry." Glassbeam is the machine data analytics company. Bringing structure and meaning to data from any connected device, Glassbeam provides actionable intelligence around the Internet of Things. Glassbeam's next generation cloud-based analytics platform is designed to organize and analyze multi-structured data, delivering powerful product and customer intelligence for companies including IBM, Aruba Networks, Violin Memory and Meru Networks. For more information, visit www.glassbeam.com. OnProcess Technology is a managed services provider specializing in complex, global service supply chain operations -- the flow of people, parts and services following the sale of a product. The company's deep expertise, purpose-built technology delivery and embedded analytics-based process improvement, enable clients to quickly optimize and scale operations, grow revenue and profitability, and deliver superior customer experiences. OnProcess provides services in 26 languages and operates in eight global facilities, including its Massachusetts headquarters and facilities in Maine, India and Bulgaria. The greatest promise in the coming together of the people of the US and India is both the country's young thinkers, US envoy to India Richard R. Verma, said here on Wednesday. "I have marvelled at the energy and brilliance of the minds I have encountered, and have been continually amazed at the creativity and commitment to service among the young Indians I have met," he said at the Indian Institute of Management. He said India was regarded as home to some of the most ground breaking young minds on the planet. "Imagine the vast promise of our young people collaborating, in real time, between Pune and Houston, Srinagar and Miami. The possibilities are limitless." Speaking on the importance of governments encouraging innovation together, he said: "Back in 2009, before innovation and start ups became the buzzwords that they are today, our governments established the US-India Science and Technology Endowment Fund." The US-India Science and Technology Endowment Fund partners with India's Department of Science and Technology to fund ideas and proposals with up to Rs.2.5 crore each every year. "Until now, the fund backed 18 proposals on technologies to remove toxic arsenic from ground water in West Bengal and Bihar, solar electric tractor, a low-cost portable auto-refractor to prescribe corrective eyeglasses in areas without eye doctors; a device to resuscitate newborn babies who can't breathe and seed treatments to improve stress tolerance in crops," he said. The ambassador said the US and India would launch a private sector-led Innovation Forum to ignite and scale innovation and encourage entrepreneurship in 2016. "Rather than dismissing Indian traditions as incompatible with western medicine, American scientists and pharmaceutical companies are working with Indian partners on "bioprospecting" - examining traditional medicine as a source of new drug discovery." The US Department of Health and Human Services is also looking at making traditional Indian medicine Ayurveda, Yoga, Unani, Siddha and Homeopathy to be more widely available in the US. Recalling innovation ties between the US and Bengaluru, Verma mentioned people like Infosys co-founder N. Narayana Murthy, Hotmail founder Sabeer Bhatia, Indian-American venture capitalist Gururaj Deshpande and first Indian member of the Silicon Valley Engineering Hall of Fame Kumar Malavalli. SANTA CLARA, CA--(Marketwired - Nov 11, 2015) - Glassbeam, Inc., the machine data analytics company, announced today that it has released Glassbeam 4.8 -- the latest version of its industry-leading machine data analytics platform. Glassbeam's latest release is focused on addressing specific customer needs through significant improvements in its UI and Visualization capabilities, and through enhancements to integrations with platforms like Salesforce.com (SFDC). "Glassbeam's latest innovations have tremendous appeal for the broad IoT audience," commented Glen Allmendinger of Harbor Research. "The integration with Salesforce.com materially improves the ability of an organization to get a more holistic customer view. Enhancements to Rules/Alerts are another significant step towards true Complex Event Processing credentials, and innovations to Workbench will help product marketers segment their customer base much more effectively." Glassbeam 4.8 includes better integration with SFDC through a Single Sign On (SSO) capability. The integration with Salesforce.com provides users the ability to access Glassbeam Analytics directly from their CRM platform and get a holistic, 360-degree customer view. Enhancements include the ability to easily associate a log file with a case and to automatically create new cases based on patterns in incoming log file data. Glassbeam 4.8 includes enhancements to Workbench -- a tool that allows intuitive, drag and drop capabilities for visual analytics of machine data. Leveraging Tableau's robust capabilities, end-users can get powerful insights into their install base -- insights that can be used for effective customer segmentation, to make sound business decisions on product roadmap, and for gauging customer propensity for features and enhancements. Glassbeam 4.8 includes major upgrades to the platform's Complex Event Processing (CEP) capabilities. Glassbeam's Rules and Alerts App features an intuitive user interface to swiftly create new, and edit existing, rules that trigger actionable information. These upgrades are greatly beneficial for users that wish to model threshold conditions based on multiple parameters in incoming data. For more information on this release, please visit Glassbeam's Product updates page. "The features in this new product will make machine data analytics easier to use, more powerful, and more available in uncovering actionable intelligence," comments Puneet Pandit, CEO of Glassbeam. "I know they will have great success in the market because each of these enhancements was developed at the request of our customers." Glassbeam is the machine data analytics company. Bringing structure and meaning to data from any connected device, Glassbeam provides actionable intelligence around the Internet of Things. Glassbeam's next generation cloud-based analytics platform is designed to organize and analyze multi-structured data, delivering powerful product and customer intelligence for companies including IBM, Aruba Networks, Dimension Data, Gridscape, Violin Memory and Meru Networks. For more information, visit www.glassbeam.com. SANTA CLARA, CA--(Marketwired - Dec 1, 2015) - Glassbeam, Inc., the machine data analytics company, announced today that it has appointed Siki Giunta, a well-known expert in the IoT and M2M industry, to its Board of Advisors. Siki brings a wealth of expertise to Glassbeam with previous experience as SVP of Verizon's global cloud ecosystem and M2M connectivity platform as well as senior executive roles at CSC, Fortisphere, Novell, Managed Objects and Computer Associates. Siki will be joining the Glassbeam board with immediate effect. Glassbeam's machine data analytics offering has numerous applications in the broad IoT space. These analytics are currently being used by companies in various verticals like Storage Networking, Medical Devices, WiFi and Data Centers for better capacity planning, to understand usage trends, and to offer value-added offerings to end-customers. More information on Glassbeam customers and use cases can be found on Glassbeam's Resources page. Siki joins the Glassbeam board at a time that the company is rapidly expanding into new verticals including Smart Grid, Supply Chain, and Manufacturing. Glassbeam's versatile IoT platform has the ability to ingest, parse and analyze data from virtually any device, either directly or through partner platforms like ThingWorx (a PTC company). Siki's tremendous experience in the IoT industry is expected to propel Glassbeam's foray into these new business areas. "Glassbeam is at the exciting intersection of IoT and Machine Data Analytics, and is fast emerging as a true visionary in this area," says Siki. "They are at the cusp of the next explosive trajectory in their company's history and I am thrilled to partner with their team at this critical juncture to bring next-generation Analytics to the IoT market." "We're absolutely delighted to have Siki join our Advisory Board in the midst of the most important business expansion phase in our company's history," comments Kumar Malavalli, Chairman, Co-Founder and Chief Strategy Officer of Glassbeam. "She brings strong pedigree and tremendous experience in the M2M connectivity and data analytics space to our team and we look forward to her presence catalyzing the next phase of growth at Glassbeam." Formation Data Systems, an emerging company revolutionizing the enterprise storage market, today announced that its CEO, Mark Lewis, will speak at Gartner Data Center, Infrastructure & Operations Management Conference on December 9 in Las Vegas. Mark will be joined by industry veteran and former CTO of UBS, Correy Voo, to discuss strategies for evaluating and delivering the next generation of software-defined storage infrastructure to the enterprise. At the conference, Formation Data Systems will also be conducting live demonstrations of FormationOneTM, the company’s hyper-scale dynamic storage platform, at booth #539 within the conference solution center. To keep up with massive data growth and cost effectively deliver new services at scale, many enterprises are adopting the model established by webscale pioneers such as Amazon and Google, by building an agile, elastic, software-defined infrastructure for traditional and next generation workloads. Led by Formation Data Systems CEO Mark Lewis, this presentation will draw on real-world use cases and examples to illustrate how FormationOne™ combines enterprise class storage services with dramatic TCO savings, to help attendees better understand how and where to begin the transformation and get started with software-defined storage today. and offers the ideal combination of private cloud control and public cloud scale to transform enterprise infrastructure and solve the challenges the modern data growth poses to businesses today. In conjunction with OxFam America, the company will also continue its successful “See-a-Demo-Get-a-Goat” campaign while at Gartner Data Center, which since August 2015 has seen over 40 technology enthusiasts donate a goat to families in impoverished countries to help fight hunger and poverty. /EINPresswire.com/ -- SANTA CLARA, CA -- (Marketwired) -- 12/22/15 -- Glassbeam, Inc., the machine data analytics company, has been selected as a finalist for the 2015-2016 Cloud Computing Awards Program in the "Best Business Intelligence or Analytics Solution" category. With awards for excellence and innovation in cloud computing, the Cloud Computing Awards Program accepts entries from across the globe, including the US, Canada, Australasia and EMEA. More than 300 organizations entered this year's program. Glassbeam is a finalist in this category for a second consecutive year. Previous winners include Red Hat, Cloudera, Unisys and Zendesk. "IoT analytics is moving from a new solution to a 'must have' capability for businesses in almost any industry," said Glassbeam Founder & CEO, Puneet Pandit. "We are gratified that this awards program has included Glassbeam as a finalist for the second year in a row. It validates the rapid rise of IoT analytics and Glassbeam's approach to bringing structure and meaning to data from any connected device." Cloud Awards organizer Larry Johnson added, "In our fifth year of recognizing the best of the best -- not just the monoliths within the space, but all of the cloud organizations which offer real innovation and value to their users -- we are still delighted to find new names pushing hard, and established names responding by pushing the envelope still harder." Final winners will be announced on Thursday January 28, 2016. The Cloud Awards is an international program, which has been recognizing and honoring industry leaders, innovators and organizational transformation in cloud computing since 2011. The awards are open to large, small, established and start-up organizations from across the entire globe, with an aim to find and celebrate the pioneers who will shape the future of the Cloud as we move into 2016 and beyond. Categories include the Software as a Service award, Most Promising Start-Up, and "Best in Mobile" Cloud Solution. Finalists were selected by a judging panel of international industry experts. For more information about the Cloud Awards please visit http://www.cloud-awards.com/. SANTA CLARA, CA--(Marketwired - Dec 23, 2015) - Glassbeam, Inc. has been named a bronze winner for the Most Innovative Company of the Year category in the Best in Biz Awards, an independent business awards program judged by members of the press and industry analysts. Glassbeam's solution takes real time streaming data from Internet connected assets and translates it into actionable information. Beyond asset tracking and management, the company's analysis of log data files can provide preventative and predictive maintenance, and better product intelligence leading to improved product roadmaps. "We are thrilled to be selected as a winner of this year's award," commented Puneet Pandit, Glassbeam CEO. "At Glassbeam, we strive to provide the best in machine data analytics and receiving this recognition from such a distinguished panel of industry editors and analysts helps to solidify our position as an industry leader." Winners of Best in Biz Awards 2015 were determined based on scoring from an independent panel of 46 judges from highly recognized newspapers, business, consumer and technology publications, radio outlets, and analyst firms. "I'm honored to be a returning judge for the 2015 Best in Biz Awards," said Nicole Taylor, Business News Daily, serving on the judging panel in her second Best in Biz Awards. "The entrants in the Most Innovative Company of the Year category truly understand what it means to bring something new and different to the table in a world where most companies just piggyback off something someone else has done. It was refreshing to read about these great companies working hard to get ahead of the demands of their respective industries." For a full list of gold, silver and bronze winners in Best in Biz Awards 2015, visit: http://www.bestinbizawards.com/2015-winners. Glassbeam is the machine data analytics company. Bringing structure and meaning to data from any connected device, Glassbeam provides actionable intelligence around the Internet of Things. Glassbeam's next generation cloud-based analytics platform is designed to organize and analyze multi-structured data, delivering powerful product and customer intelligence for companies including IBM, HDS, Aruba Networks, Violin Memory and Meru Networks. For more information, visit http://www.glassbeam.com. Best in Biz Awards recognizes top companies, teams, executives and products for their business success as judged by established members of the press and industry analysts. Best in Biz Awards honors are conferred in two separate programs annually: North America, and International. Entries will begin to be accepted in the fourth annual Best in Biz Awards International program in January 2016. Any organization worldwide may enter any of the more than 60 company, department or team, executive and product categories. For more information about the entry process and categories in the International program, please visit: http://intl.bestinbizawards.com. © 2013 VKRM. All Rights Reserved.